February | 2016 | GUNNY.G: COCKED AND LOCKED ~ ONCE A BLOGGER ALWAYS A BLOGGER ! Ted Cruz’s presidential campaign is using psychological data based on research spanning tens of millions of Facebook users, harvested largely without their permission, to boost his surging White House run and gain an edge over Donald Trump and other Republican rivals, the Guardian revealed……. A former deputy manager for the Romney for President campaign, who is now a devout Rubio supporter, Katie Packer, has made it her primary mission to thwart Republican front-runner Donald Trump’s nomination for President of the United States. In fact, Ms. Packer is credited with saying: If it bleeds we can kill it, obviously meaning Trump’s presidential ambition……. 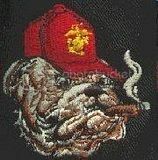 GOP Primaries: Shut Down the Farce, Stop the Fraud…Devvy Kidd… BLOGGING BAD: Gunny G…!!! I remember how six years ago a tea party star and a great patriot of this nation, Sharon Angle, ran for senate in Nevada against the ruling establishment uber-puppet, Harry Reid. I volunteered at her office in Las Vegas. Till the election day Sharon led by 4-5% according to all the polls. I remember one of her campaign managers told me: we have to lead by over 10% as they can rig about 10% of the vote. I knew it was possible but didn’t want to believe it…….